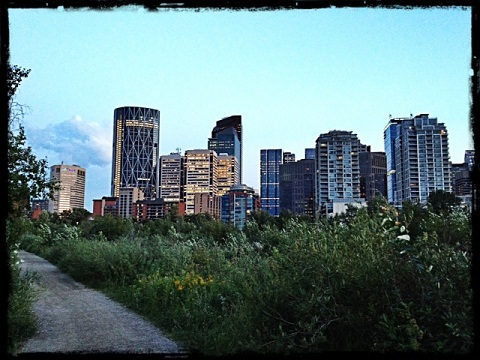 Blog: IN THE MARKET FOR A CALGARY CONDOMINIUM? WHERE DO I START? IN THE MARKET FOR A CALGARY CONDOMINIUM? WHERE DO I START? In the past few weeks I have been contacted by 2 separate first time condo buyers that were referred to me by past clients (thank you, you know who you are). This has inspired me to start a new condo blog series outlining some important details to get your search started. Firstly, contact your mortgage broker or bank to secure a pre-approval. Usually you can do an online application in about 15 minutes and receive a response back within 24-48 hours if you have a good mortgage associate on your side. I spoke with John Inaba at www.mymortgage.ca and he has stated most pre-approvals are good for up to 120 days. Most importantly this pre-approval will lock the current interest rate for you while you shop for your new condominium (nobody wants to miss out on a great interest rate). The best part is, if the rate decreases during your 120 days and before you purchase, your mortgage associate should be able to get you that lower rate. Knowing what you can afford to purchase and locking down the best rate possible is a great start to your condo search. If you have any questions on mortgages and pre-approvals, please contact your favorite mortgage broker and or bank for more information. - Condominium contributions, what do they include? I would highly suggest contacting a Certified Condominium Specialist Realtor, who can bring value to your condominium purchase. A good Certified Condominium Specialist Realtor will be able to address your wants and needs, and be able to pin point certain communities, even complexes which might work best for you. You may have specific criteria, for example: you may need to be walking distance to an LRT station, perhaps close to a school for your young ones, or maybe your preference is to be close to a gym if your building doesn't have one. Your Certified Condominium Specialist Realtor may have sold many different units, in many different complexes in and around the city which may benefit you when deciding to write an offer and ultimately while negotiating a purchase price. Information is key to making a great decision. Your Realtor may know of looming special assessments because he or she had a deal fall through in the complex you're considering. Perhaps your Realtor knows of a unit not listed yet on www.realtor.ca in the complex you’re interested in. Of course you would have first dibs when working with that Realtor. Because Condo Specialist’s deal with so many complexes and buildings, the experience and knowledge they bring to the table can be priceless. This is just the tip of the ice berg when it comes to a condominium purchase. I believe Condo buyers are best served when represented by a Certified Condominium Specialist Realtor. Ask your friends, co-workers and family for a referral and call to interview a few agents before you start your condo search!